Carl Palmer's "Venus" Signature Snare - A truly-personlized instrument, Carl's "Venus" is crafted for volume and intricate clarity. 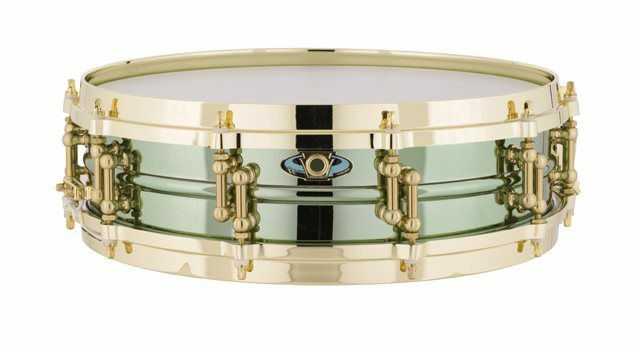 Its beaded-brass 3.7"x14" shell is lacquered green for a stunning look, with brass-plated separate-tension tube lugs and die-cast hoops to offer visual contrast. More than a "Power-Piccolo", each model is hand-signed by this drumming great. 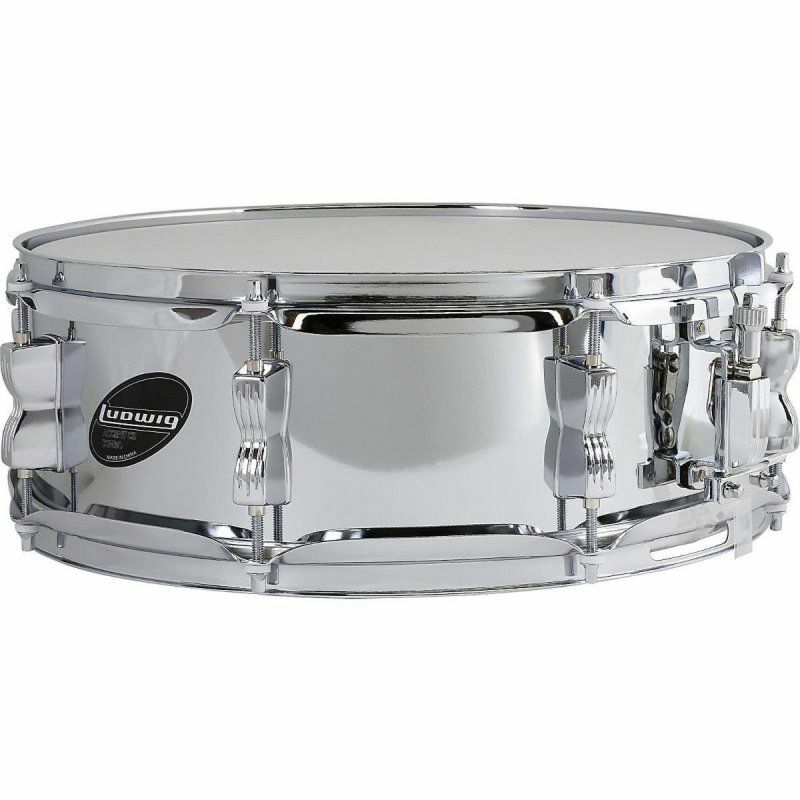 The Ludwig LC054S Accent Snare Drum features a 5"x 14" chrome plated steel shell, 8 Ludwig Classic Lugs, and the Supra-phonic style snare throw-off. This drum has a bright cutting tone. 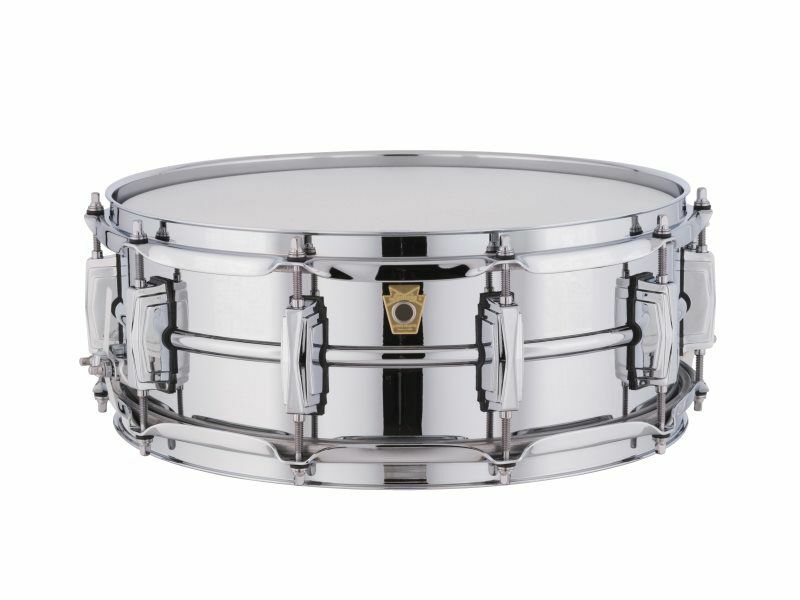 Standard hardware includes chrome plated brass tube lugs, 2.3 mm chrome plated triple flange hoops, and brass snare wires. 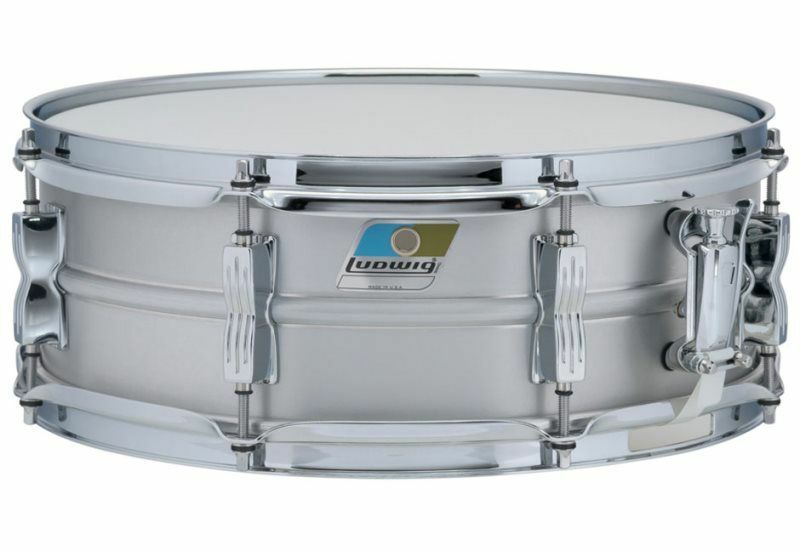 Good looking, Great sounding, Priced right…the Ludwig Supralite is for every drummer. 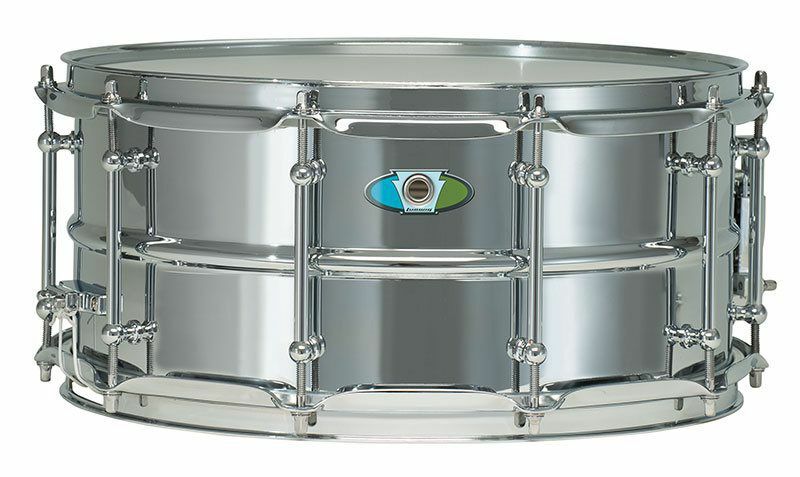 One of the primary reasons Ludwig is "The Most Famous Name In Drums" is the legendary Black Beauty Snare Drum. The drum is constructed of a single sheet of brass that is machine drawn and spun into a seamless beaded shell, then nickel-plated with a beautifully exquisite finish. A true American original, the Black Beauty provides a warm, round metallic tone that is often imitated, but never duplicated. 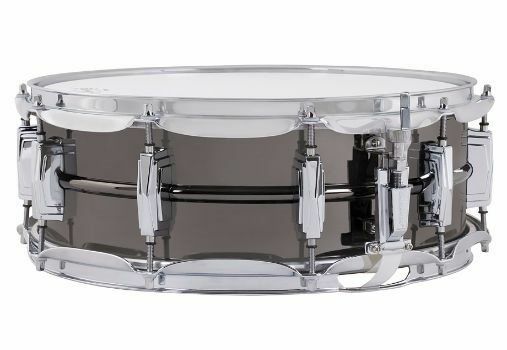 However, due to their truly unique and difficult manufacturing process, only a very limited number of Black Beauties is available each year from Ludwig USA. With a choice of three strainer options (P85 Supra-Phonic, P86 Millennium or P70 Super-Sensitive,) the Black Beauty responds with excellent sensitivity at all volumes. 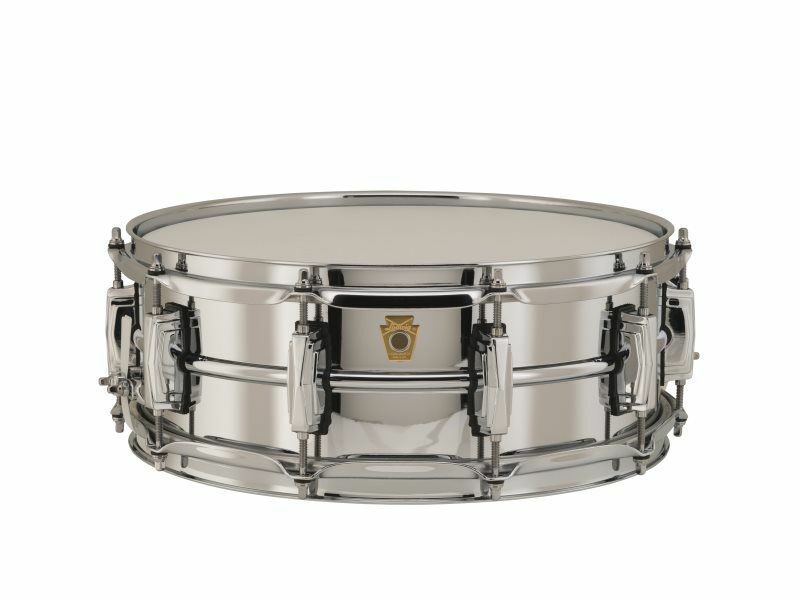 Choose from Imperial or tube lugs, die cast or triple-flanged hoops and a smooth or hand hammered shell. 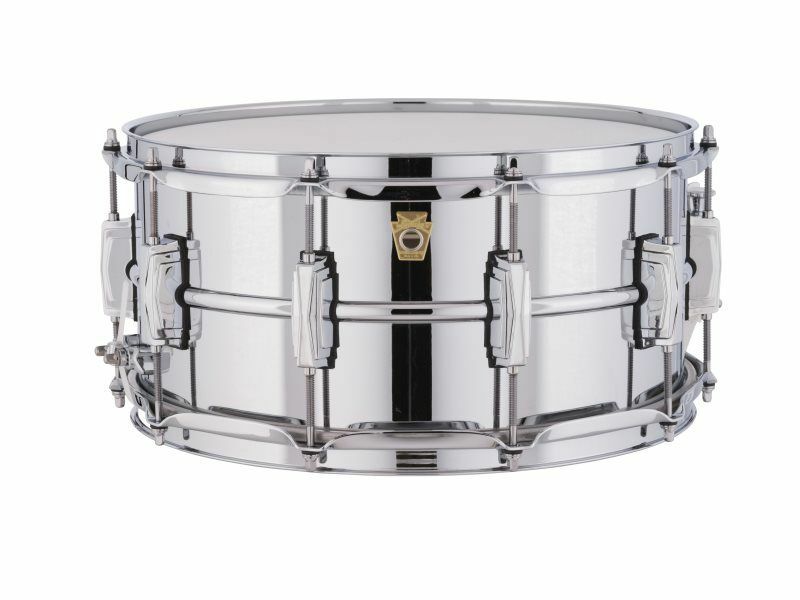 The 80 year tradition of the Ludwig Black Beauty carries on as the ultimate snare drum in the industry.